Yikes! Where is January going? Mine has been spent largely on family (yay!) and on a monumental work project (double yay!). In the meantime, a couple of my posts were featured on Tip Junkie over the last few days, so “Hi” to anyone jumping over from there, so glad to have you! Gotta get back to that project, I hope to have it wrapped up in the next week or so. Ta-ta for now! 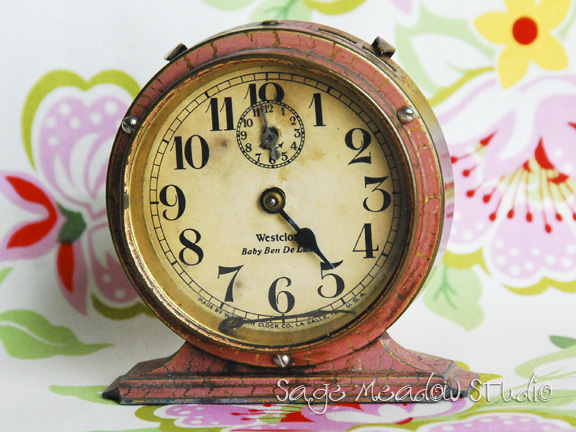 I love this little clock!